A loan of $4,875 helped a member to buy wool. The Flor Naciente communal bank will start its second cycle with Pro Mujer as part of the Senkata Focal Center. It is comprised of nine members and is headed by a board with Verónica as the president. The businesses of the members of the communal bank are varied. Among them are selling food, selling fish, selling rabbits, a neighborhood store, and selling CDs. The loan will benefit small businesswomen such as Verónica. She says that she has been a member of Pro Mujer for three and a half years. She joined by invitation from a friend who is a member of the institution. She has a business of weaving by machine. She learned this business by her own initiative. The loan that she will now take out is to increase capital (to buy wool). She will get the wool from wholesalers in the city of La Paz. She will later sell what she makes at the space where she sells. This way of working allows her to generate resources to support her household as much as possible. She is married and has two children. When asked what she likes about Pro Mujer, she replied that she likes the health trainings and the loans. La A.C. “FLOR NACIENTE” iniciará el décimo segundo ciclo en Pro Mujer, como parte del Centro Focal de Senkata, está compuesta por nueve integrantes y está dirigida por una mesa directiva donde la señora Verónica es la Presidenta. Los negocios que las integrantes de la asociación comunal llevan adelante son variados entre ellos existen: venta de comida, venta de pescado, venta de conejo, tienda de barrio, venta de CD’s. El crédito que sacaran beneficiara a pequeñas microempresarias donde la señora Verónica es integrante, ella indica que hace tres años y medio que integra Pro Mujer, ingresando por la invitación de una amiga que es socia de la institución. En la actualidad ella tiene un negocio de tejido a máquina; da a conocer que este negocio lo aprendió por iniciativa propia. El crédito que ahora sacará es para el aumento de capital (compra de lana) que adquirirá de las vendedoras mayoristas de la ciudad de La Paz y posteriormente a la elaboración lo comercializará en su espacio de venta. Esta forma de trabajo le permite generar recursos para mantener en lo posible a su hogar pues ella es casada y tiene dos hijos. Cuando se le consulta qué le gusta de Pro Mujer, ella responde que le gusta le gusta las capacitaciones en salud y crédito. While Bolivia’s microfinance sector is well-developed and very competitive, few Bolivian MFIs have achieved the depth and reach of Pro Mujer. 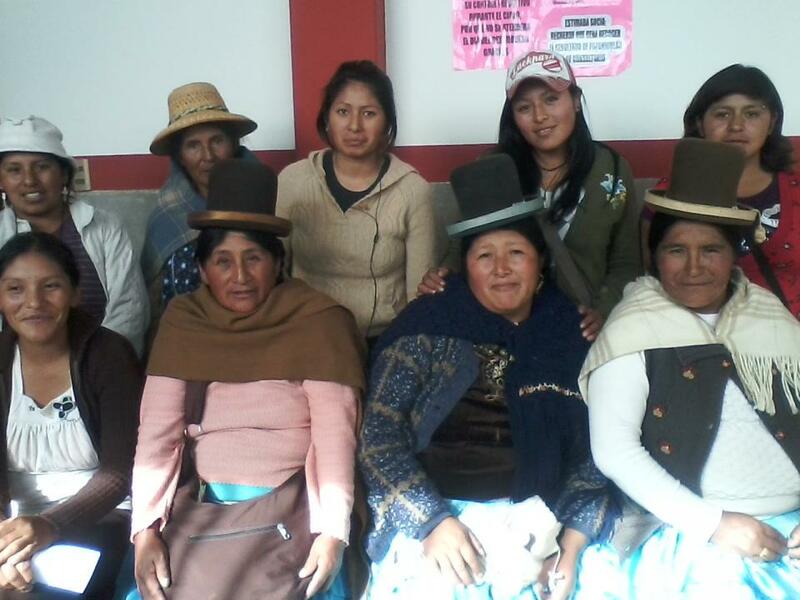 Kiva chose to partner with this institution because it uses the village banking model to reach some of the poorest female borrowers in Bolivia with small loans, education programs and health services. Many of these women had no prior access to credit. By lending through Pro Mujer, Kiva lenders are not only supporting economic development for poor women, but also Pro Mujer’s mission to help them build strong futures for themselves and their families. This organization is dedicated to the holistic wellness of borrowers by integrating small loans, savings programs, business administration classes, health care and more. While these programs are quite costly to maintain, Kiva funding helps ensure that they remain sustainable.